Manager of Knoxville’s Family Pride Corporation, Richard E. Dover has enjoyed a long and successful career in real estate and property development. Beginning in 1979, after earning a bachelor’s degree from the University of Tennessee in Knoxville, Richard E. Dover accepted a position with Houston-based General Homes. Here, he served as project manager to the largest residential builder in the area, earning a name for himself as a thorough and diligent self-starter. In 1980, Richard E. Dover parted ways with General Homes to focus on office buildings, commercial land sales, and investment properties. A star real estate professional for CBRE, Richard E. Dover was named to the annual list of top five producers from 1981 to 1984. After gaining extensive knowledge in residential and commercial real estate, Dover went on to enjoy a thriving career as an independent land developer. Between 1985 and 1993 Richard E. Dover completed a number of projects from California to Florida and many states in between. 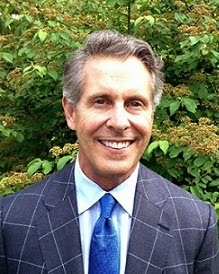 Richard E. Dover joined the Family Pride Corporation in 1993. Since relocating to Knoxville, Tenn., Richard E. Dover has spearheaded several projects for Family Pride including the 34-unit Lakewood Place Senior Living, which also houses a number of professional spaces. Lakewood Place occupies the site of a formerly abandoned hospital. The Grove, a mixed retail and loft residential building, is located within a 1922 structure that was previously destined for demolition. Richard E. Dover managed the Lakeside Village Project, a 40-unit planned residential community that occupies an old factory location on Watts Bar Lake in Loudon. At present, Richard E. Dover is busy with a handful of senior living projects including renovating an early 20th century school building and a mid-century inn. Richard E. Dover has always held a strong belief in community service and has served on the Sequoyah Hills Preservation Society, the Knox Heritage group, and the Americas Foundation. He currently resides in East Tennessee with his family.